We have all had them at some point: Mosquitoes inside the house. With no way of getting them out (if you open the window, 10 mosquito friends join the fun), you’re stuck with a blood-sucking and fiercely buzzing terror-machine in your home. But there is always one last strategy to get rid of mosquitoes once and for all: Playing the waiting game. Nobody gets out, nobody comes in. But how long should this “smoking out”-strategy take you? How long do mosquitoes live indoors? Here’s the rough outline for your game plan. The name of the game is killing mosquitoes by living longer than they do. Indoors, a mosquito is unable to feed, making them weaker and weaker as time goes by. With closed doors and windows, they can’t get outdoors either. It’s the classic stalemate situation, where patience is the only solution. But in order to be victorious, we need to understand the mosquito lifespan and life cycle a bit better. Let’s take it slow and start from our baseline position. First, we want to know how long an adult female mosquito can potentially stay alive inside the house. How Long Do Mosquitoes Live In The House? Indoor mosquitoes can live for quite a long time: Their lifespan in the house ranges anywhere from four days to a month. After female mosquitoes are done biting, they will live up to three weeks in your home. However, most species won’t last that long, but it can still seem like a long time period when dealing with them. When you’ve got a male mosquito in your house, it will only live around 6 – 9 days, but these creatures are not to be feared: Male mosquitoes will not bite anyone. You will notice the difference between male and female quite quickly. This is because the female will be very attracted to your blood, while the male is just interested in the females. The odds of finding these insects indoors will vary depending on the location you’re in. Where there is a lot of standing water outside, it is very likely for large flocks of mosquitoes to pay you a visit. Some of these high-level mosquito area’s include forests (especially the edge of forests), swamps or suburbs. Naturally, colder regions and seaside regions will be less prone to finding them in vast quantities. Why Are Mosquitoes In My House? The main cause of mosquitoes in your house is accidentally leaving open windows, doors or other openings. Mosquitoes are attracted to CO2 in human breath, making your home a perfect place for mosquitoes to try to get into. Indoor pets like dogs and cats will have a similar effect. Alternatively, mosquitoes migrate into your house to avoid the cold outside. During the winter period, mosquitoes can’t live below a certain temperature. However, indoor temperatures are usually roughly the same, making them an ideal habitat for mosquitoes to survive during the winter time. Apparently, insects want to cuddle up by the fireplace just as much as you do. Isn’t that cute? One last explanation, is the possibility of finding an easy puddle of water to lay eggs in. After the female has bitten an unwilling victim, it will find a small puddle of standing water to lay eggs in. These are more common in your house than you might think. Here’s exactly why that is the case. Can Mosquitoes Nest In Your House? Yes, female mosquitoes will commonly nest (i.e. lay their eggs) in your house in locations with standing water. Common indoor locations where mosquitoes find standing water for their nesting needs, include houseplants and a garage or shed. A mosquito nest can also be found in the kitchen or bathroom. Find out where you have some permanent standing water in your house, in order to pre-emptively remove mosquitoes from your house. You don’t want a small nest of mosquito larvae inside, because these will inevitably grow up to become blood-sucking pests later. In the larvae stage, some mosquito species will even eat each other (yes, mosquitoes can be cannibalistic). In the late summer, or when you notice you have some mosquitoes flying around your home, it can be a good idea to refresh the soil of your houseplants occasionally. This way, any type of nest from insects will likely die in the plant-care process. Alternatively, you could introduce a plant-friendly citronella mosquito sticks for your indoor plants, making it impossible for mosquitoes to nest there. Mint: This scent too can effectively repel mosquitoes and other bugs. Fix insect screens and doors: Get one of these for the window. Or this for the door. A lifesaver! Apply mosquito repellent to your skin: How about some Avon sunscreen during summer? Get a mosquito trap: I only go for the absolute beast: The DynaTrap DT2000XL. So effective! Remove puddles: There are loads of nooks and crannies in your garden with water. Drain them! Get a canopy for your bed: Sleep comfortably with a mosquito net canopy around your bed. It’s pretty too. Where Do Mosquitoes Hide During The Day? In the daytime, mosquitoes will often hide in dark, moist places. During hot summer days, a mosquito will avoid the sun to not get dehydrated quickly. Even indoors, the relatively constant climate will make them hide in dark corners. Where they hide in your house, will depend on where it is coolest indoors during summer. So if you’d like to find a mosquito during the daytime, your best chance is looking in the darker parts of the room you last saw it flying around. Don’t expect the females to fly towards you in the daylight, because they will usually choose to prevent dehydration over biting you in the sunlight. If I were you, I’d simply wait for the sun to set and the evening to set in. Before that moment, don’t even try to find them. Place your traps, get ready to hunt them down, and make sure your flyswatter is charged and ready. I can’t count the number of times I’ve had to do that, and I’m always never outsmarted by these little buggers. If you have a game plan for victory over mosquitoes, you will inevitably win. Even if that means waiting them out for weeks on end. The lifespan of a female mosquito indoors is surprisingly long: Between four days and three to four weeks. 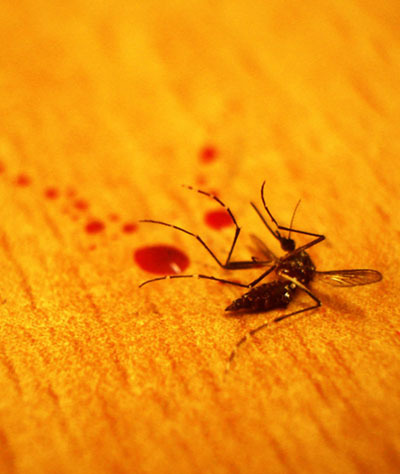 Even a well-fed mosquito full of blood survives three weeks indoors. Having to get rid of them before their lifespan is reached, will, therefore, take a bit of effort. Living with a biting insect indoors can be a big nuisance! Throughout this article, I have tried to provide you with practical solutions to win from indoor mosquitoes. However, if you’re looking to expand your horizon in terms of anti-mosquito products, I would also like to let you know about the many tests and reviews I do in terms of repellents and bite treatment products. Do make sure to check those out, because I usually only feature the battle-tested items that actually work against them really well. Picking any of these solutions will give you a very high probability of succeeding against the pests in your home. 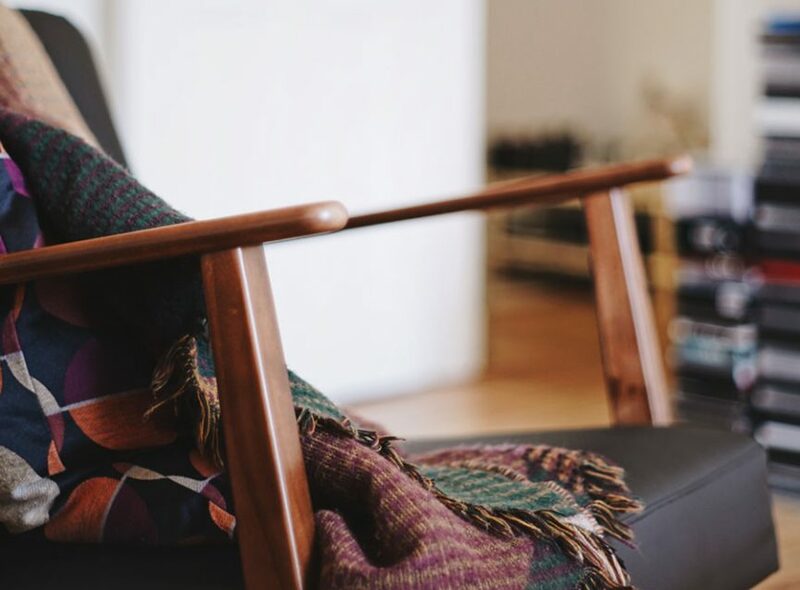 And if you’re broke, you can always also attempt some of the DIY solutions featured on this blog. Do let me know what the solution was that worked for you, even if I haven’t discussed it yet on this blog. I’m only a one-man show, but together we can form an anti-mosquito army. Together we are stronger against the deadliest insects on the planet. Leave a comment below that features your favority anti-mosquito solution, or send me a message on the contact page (see the menu above). Talk to you soon!